I am Gaia, returned to be your Guide as you merge the spiritual essence of your personal Seventh Chakra with the spiritual essence of my planetary Seventh Chakra. 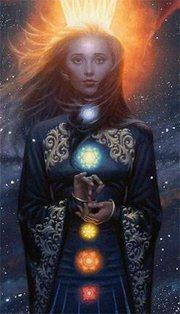 When we united our Sixth Chakras, we united your Personal Consciousness with my Planetary and Galactic Consciousness. Now, as we blend our Seventh Chakras, we will expand into Galactic and Cosmic Consciousness. Hence, you will not only be united with the consciousness of your Planet, but with the consciousness of your Galaxy and the consciousness of the Cosmic Universe, as well. Your physical body, which was once imagined to be the Earth vessel of your Self, is now revealed as the 3D grounding point of your Multidimensional SELF. The Seventh Chakra is a masculine/outflow chakra that functions in an androgynous fashion. 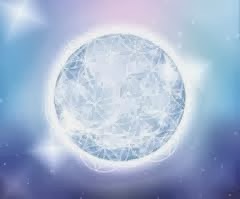 It is from your opened Crown Chakra that you extend your antenna up, into the higher dimensions, for the reception of the Light Messages from your Multidimensional SELF in other planets, galaxies and dimensions. Mt. 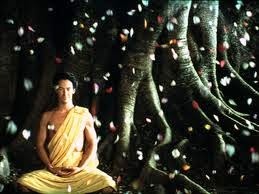 Fuji, Japan, is my Crown Chakra, and the area of my body from which I extend my antenna. Mt. Fuji is my “time keeper,” but instead of the passage of hours, it measures the passing of seasons, cycles and eras. The era of our separation into polarized, third dimensional forms is ending. Our “return to SELF” is initiated with the Mystical Marriage, which occurs as our Kundalini completes her journey into our Crown. Masculine and feminine are then united into our true, androgynous Lightbody. I, Gaia, shall then become a Star, and you my people, shall become the Planet. When the polarities are removed, the illusions of separation and limitation, such as male/female, spirit/matter, light/dark, and love/hate, blend into “LIFE expressed as form.” It is then that my form will change greatly, as will the forms of all my inhabitants. However, some of you may wish to continue with the 3D Game, which is your prerogative, and you will be re-located to another 3D environment. I firmly believe that most of you who receive this message will happily and willingly release the personal strife of the third dimension, and choose to return to the experiences of your Multidimensional SELF in the fifth dimension and far, far, beyond. Our Crown Chakra is the area of our body that has always been detached from third dimensional strife. This chakra is the Light Bringer, just as my dear Mt. Fuji has always has been a spiritual center and beacon of Light. The Seventh Chakra is the “spaceport” for my Planetary Merkaba and your Personal Merkaba, which are soon to be merged into an Interdimensional Chariot. Our “Chariot” is preparing for take-off. However, before we can “take-off,” we must “take-in” the fifth dimension and beyond. For, in actuality, there is no leaving or coming; there is only “rising” in frequency of vibration. The opening of the Crown Chakra represents the termination of your desire to live as a victim to the illusions of your physical life. Yes, you still look human, but you are no longer limited by it. Your Crown Chakra is ruled by your pineal gland, which allows you to take in higher dimensional Light. Through downloading this Light, you have expanded your consciousness beyond the confines of being human, or even of being a planet. Your Home is now in the stars, galaxies and higher dimensions. Now that you have remembered who you are, you are beginning to remember the Mission you chose before you came here for this lifetime. There is one Mission that you all have in common, which is the mission to ground the vibrations of your higher dimensional Homes into your daily lives. The veils between the worlds will then become increasingly thin, and your perspective of reality will change greatly. Fortunately, your Detached Compassion will then be more accessible, as you will more deeply understand that each one must find his or her own Path and follow it from inside their SELF. You will no longer need to heal or save “others,” as you realize that there are no “others.” You are all One. Within the Oneness is only Compassion, for you are not only ONE with each other, you are also ONE with Spirit. Your expansion into SELF also allows you direct access to the holographic control center in the sixth dimension. This sixth dimensional perspective further amplifies your Detached Compassion, as you can see the Big Picture for 3D “problems” and realize that each person’s Soul/SELF has chosen problems that best serve to awaken their Grounded One. You will then realize that it is not your job to interfere with other people’s choices. If someone desires you to assist or heal them, you do so as naturally as you would say hello, but you give your services without the NEED for appreciation, or gratitude. You DO what you do because you ARE who you are; and you are – your SELF. The third dimension has always been based on “learning through conflict.” However, with an opened Crown, that premise becomes obsolete, as you no longer need to learn; you need only to remember what your SELF has always “KNOWN.” Learning is then replaced by Being the Unconditional Love and Detached Compassion. This “Beingness” assists you in remaining detached from the dramas of the 3D Game. As you have learned from your many Earthly incarnations, 3D dramas have a strong addictive quality. As you totally blend your Essence with mine, you will more easily be able to remain detached from these dramas. I, Gaia, have had to remain detached so that I could keep my balance and remain in my orbit. There was a time when I almost lost my planetary balance. In order to “stay the course” for the remainder of our planetary experience, I had to call for more Light from my Solar and Galactic family. Many of you are the Light Beings who answered that call. I wish to thank you again, and let you know that your “tour of duty” is coming to an end. Soon you will be able to return to your Homeworld, but first I need you to complete your final mission, as I know you will! Join with me now, dear Beings of Light, as we merge our personal and planetary chakras. One last time, journey into my core, in fact, OUR core. Feel your consciousness expanding beyond the limitations of your physical form, and even beyond the limits of our planet, to embrace the entire Galaxy. You have now expanded your mind to embrace, not only Planetary Consciousness, but Galactic Consciousness as well. Feel yourself in the center of our Galaxy. YOU are our Great Central Sun, Alcyone, of the Pleiades. Feel your “Seven Sisters” in your constellation. Yes, a Sun can also feel feminine! “I AM the planet EARTH, from the depths of my core to the top of my atmosphere. My mountains lay heavily on my body, and my wind rushes across my vast planes. I feel my long grass being trodden upon and eaten by my hoofed ones and sense the disturbance of air as my various winged inhabitants fly through my skies. My waters pitch and roll as the life within them searches for food, adventure and procreation. My cities are vast centers of differing polarities, whereas my wilderness lives in the Unity of Nature. I KNOW each creature walking, swimming, and flying through my countries and cities alike. All around and within me, my many creatures and life forms are born, live, procreate, and die. Time has no meaning to me as I AM only NOW. My many plants decorate and nourish my surface and my crystal world forms the foundation of my land. I AM there, and I AM here, for I AM NOW. Now, dear Beings of my SELF, FEEL OUR Crown at Mt. Fuji, Japan. Feel OUR mountain heavy upon the earth as WE unite OUR minds and thoughts with the Father-God and OUR hearts and emotions with the Mother-Goddess. WE are NOW a conduit, a step-down transformer, of Spirit into Matter. We are a great mountain with the Power of Father Sky, the Wisdom of Mother Earth, and the Love that united them in Mystical Marriage to create their Divine Child—humanity. We are opened to receive our Highest Expressions of SELF. WE Feel OUR Third Eye in the Himalayan Mountain Range, Tibet. 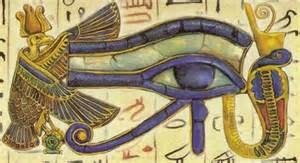 With our opened Third Eye we see ALL life through the Eyes of Soul. WE Feel OUR Throat at Mt. Shasta, California. We speak only the TRUTH and create only from our Highest SELF. WE Feel OUR Heart in the Haleakala Crater, Maui. We Love ourselves, so that we can Love ALL life. WE Feel OUR Solar Plexus at Mt. Kilimanjaro, Africa. We feel our Power Within and project it into our transforming world. WE Feel OUR Navel in the Amazon Jungle, Brazil. We carry our New Earth in our hearts and minds. so that we can give birth to it TOGETHER. WE Feel OUR Root at Mt. Sinai, Middle East. to create a firm foundation for our expanding reality. to the tip of OUR tallest peak. As a result of our process, many Multidimensional memories and stories may be flooding our consciousness. Are these really stories from Beings on different planets, galaxies and dimensions, or are they just our imagination? Most important, is there a difference between memory and imagination? If we really are creating our own reality, then a reality that is limited to third-dimensional Earth is merely our choice of creation. What if we, the creators of our reality, were able to imagine a reality in which we were NOT limited to the third dimension? 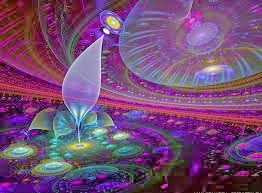 What if WE, the creators of our realty, were able to go into the memory of our fully integrated Multidimensional SELF? Could we then recover long forgotten memories of other realities that are beyond the confines of this particular dimension, time, and space? Could we trust our “imagination” enough to let go of the restraints of limiting our consciousness to only one reality, one expression of our total SELF? When our consciousness is restricted to the third dimension, we cannot heal Gaia’s planet, because it is that 3D state of consciousness that created the situation that OUR planet, and ALL her creatures, are now experiencing. The industrial world is the result of humanity’s deepest journey into our left-brain’s analytical, sequential abilities. These abilities have taught us absolute separation into the individual consciousness of our “modern” world. Our expanded perceptions of telepathy, precognition, telekinesis, clairvoyance, clairaudience, clairsentience, which result from the whole brain thinking of merging our right and left hemispheres, has been filtered out of our individual, third-dimensional consciousness. Furthermore, with our accentuation on only half our brain’s innate capacity, we have fallen into black and white thinking. The absolutes of black and white thinking are based on the very polarity that created the third-dimensional world. It is no longer our quest to find the total individuation from other humans, nature, our planet, and even from our true Multidimensional SELF. We have experienced an adventure in separation from our innate Multidimensional abilities. However, much like an entertainer who may wish to focus only on dancing until that skill feels perfected, then only on singing until that skill feels perfected, we have disallowed ourselves the use our full abilities. Much worse, we have hidden our expanded abilities under our “shame of being different.” However, the dress rehearsal for our life’s performance is over, and the final act has begun. In order to face the ensuing challenges that loom directly ahead, we must throw off the illusion of shame to fully embrace our SELF and pull together ALL that our Soul/SELF has ever experienced on any dimension, planet, or galaxy. We must allow our imagination to embrace and project the illumination of our journey into the ONE. We have learned to expand our consciousness to cosmic consciousness by opening our Third Eye and moving through its Multidimensional portal. Can we trust the adventures we have had on these journeys? The Multidimensional Light of the ONE basks our Crown Chakra and radiates out into our physical reality via our opened Third Eye. Simultaneously, Gaia constantly shares Her emanations up from the core of her planetary heart, through the highway created by our rising Kundalini and into our personal heart. Through allowing the rise of the Kundalini to assist in the integration of our Soul/SELF into each of our chakras, we have also opened our High Heart and merged it with our Heart Chakra to complete the awakening of our planetary consciousness. With our planetary consciousness, we have initiated our innate ability to be at ONE with all creatures and matter that contribute to our group experience of being ONE with our planet. As the Unconditional Love of our expanded Heart Chakra combines with our opened Third Eye, the immense creativity of our Throat Chakra bursts forth into our reality – the reality that we are NOW creating. Our blossoming creativity chafes at the many rules of limitation that feel like tethers which bind our hands, feet, heart and mind. If we are to BE our SELF, we must break free of our limiting cocoon like the beautiful butterfly that we are. WE are commencing our process of transformation from small, limited caterpillars that only know the leaf on which they crawl to regal Monarch butterflies that can travel great distances on wings as fragile as lace. It is now time to break through the confines of our self-made cocoon. We made our cocoons in an effort to “fit in” to a reality based on forgetfulness of our true SELF. But, NOW, we have remembered, and none too soon. The pivotal moment is commencing for the planet that we have turned into a thing with the individuality that we have so cherished. Those of us who have awakened to our full SELF are ready to take our place in this drama of planetary transformation so that we can fulfill our Soul’s Purpose. Because we have integrated our Soul/SELF into our Earth vessel, we can hear the voice of our Multidimensional SELF constantly encouraging and guiding us. All we need do is surrender to our SELF, for it is through living in surrender that we can totally free our Self from the illusions of mundane life. What if we found the courage to “come out” as our Multidimensional SELF? What if we balanced our intellect with our instincts? What if we stopped hiding our Light and allowed our illuminated Essence to proudly and honestly emanate through our fully integrated Multidimensional SELF? THEN we are ONE with Gaia and Gaia is ONE with us. Our individual consciousness becomes Planetary Consciousness. Our Planetary Consciousness becomes Solar Consciousness. Our Solar Consciousness becomes Galactic Consciousness. Our Galactic Consciousness becomes our Universal Consciousness. Within our extended consciousness, our whole brain thinking, and our expanded perceptions lies the ability to fulfill our Divine Ideal and to contribute to the transforming planetary reality. Together as ONE, people and planet, we can create a planet of peace and love! What is our personal Mission? How will we fulfill it?